For 12 consecutive years, Gartner has recognised Microsoft as a Leader in analytics and business intelligence. Learn how a comprehensive product vision, positive sales experience and intuitive user experience contributed to high levels of customer satisfaction and helped position Microsoft as a Magic Quadrant Leader among analytics and business intelligence platforms. *This graphic was published by Gartner, Inc. as part of a larger research document and should be evaluated in the context of the entire document. The Gartner document is available upon request from Microsoft. Gartner does not endorse any vendor, product, or service depicted in its research publications, and does not advise technology users to select only those vendors with the highest ratings or other designation. Gartner research publications consist of the opinions of Gartner’s research organisation and should not be construed as statements of fact. Gartner disclaims all warranties, expressed or implied, with respect to this research, including any warranties of merchantability or fitness for a particular purpose. 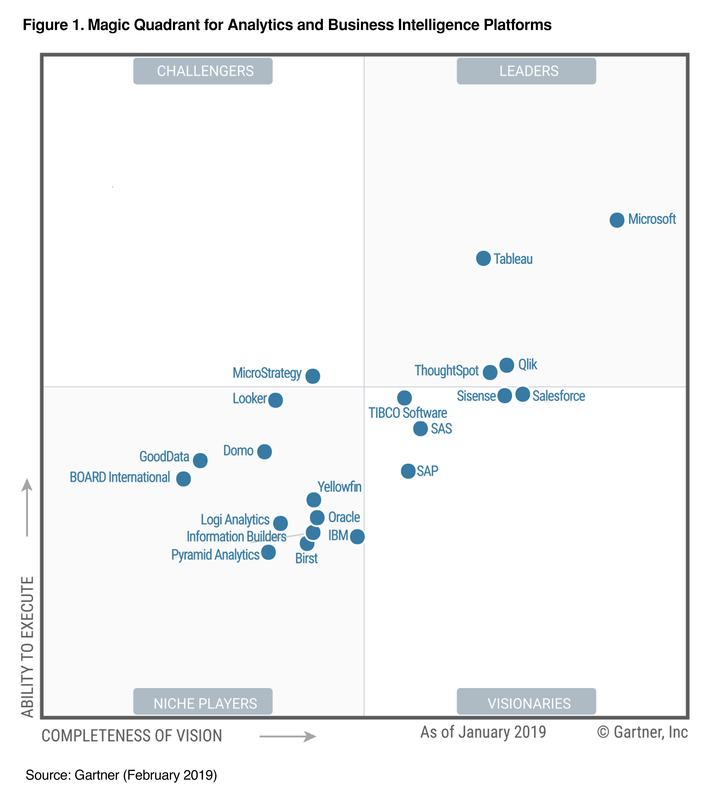 This Magic Quadrant was re-named in the year 2013 from “Magic Quadrant for Business Intelligence Platforms” to “Magic Quadrant for Analytics and Business Intelligence Platforms”.